1 Solid oxide membranes for hydrogen separation and isolation Aurelija Martišiūtė. 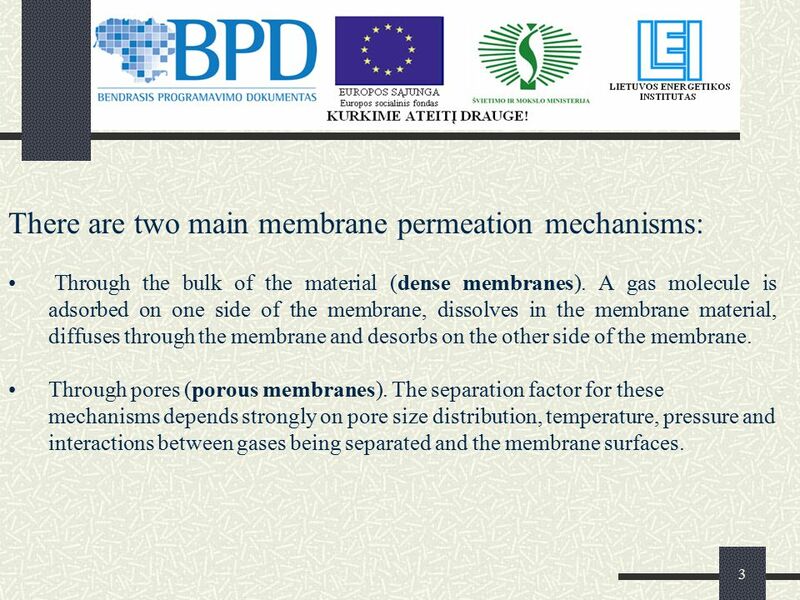 3 3 There are two main membrane permeation mechanisms: Through the bulk of the material (dense membranes). A gas molecule is adsorbed on one side of the membrane, dissolves in the membrane material, diffuses through the membrane and desorbs on the other side of the membrane. 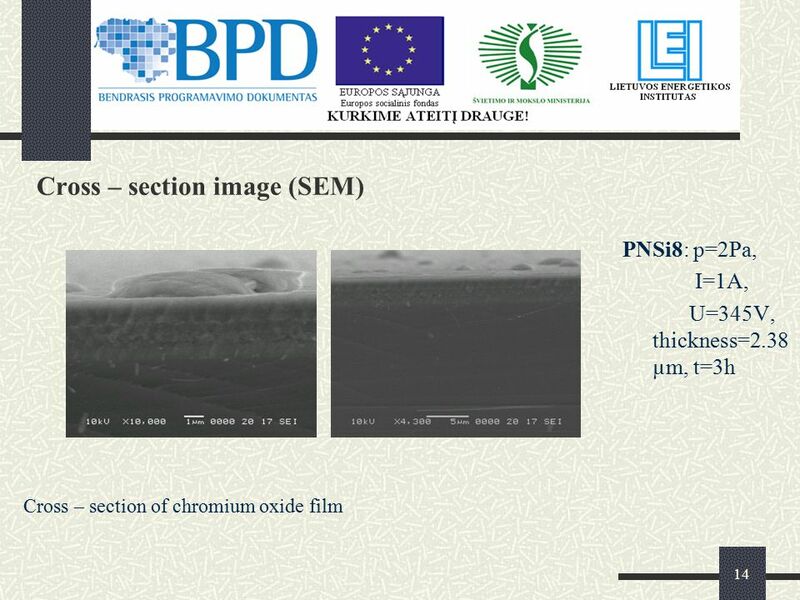 Through pores (porous membranes). 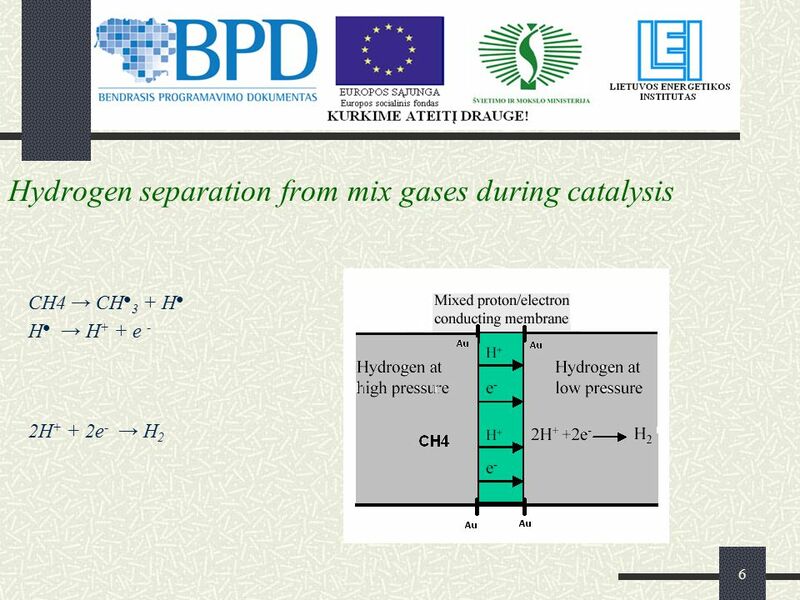 The separation factor for these mechanisms depends strongly on pore size distribution, temperature, pressure and interactions between gases being separated and the membrane surfaces. 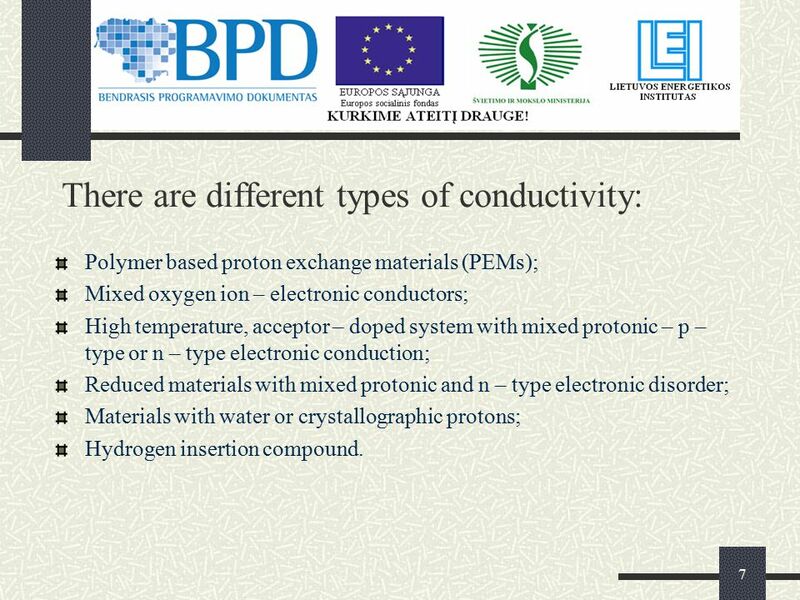 7 7 There are different types of conductivity: Polymer based proton exchange materials (PEMs); Mixed oxygen ion – electronic conductors; High temperature, acceptor – doped system with mixed protonic – p – type or n – type electronic conduction; Reduced materials with mixed protonic and n – type electronic disorder; Materials with water or crystallographic protons; Hydrogen insertion compound. 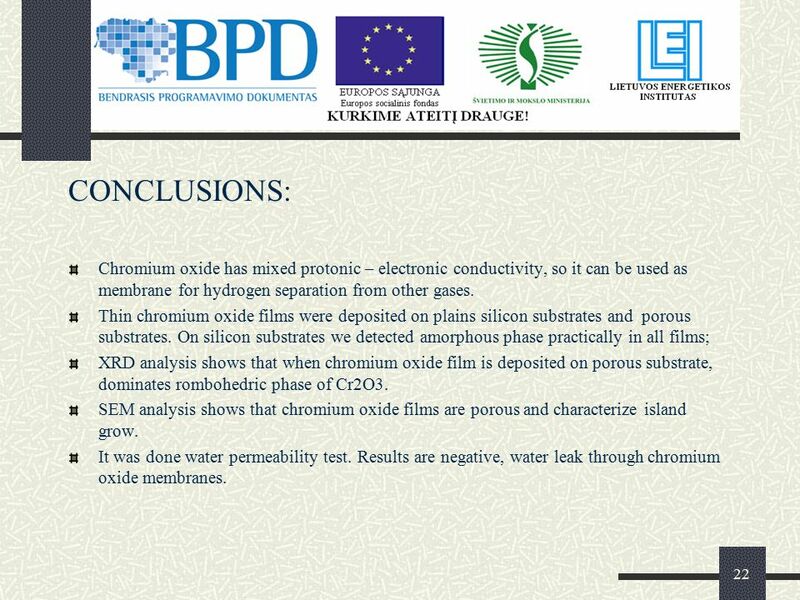 22 22 CONCLUSIONS: Chromium oxide has mixed protonic – electronic conductivity, so it can be used as membrane for hydrogen separation from other gases. 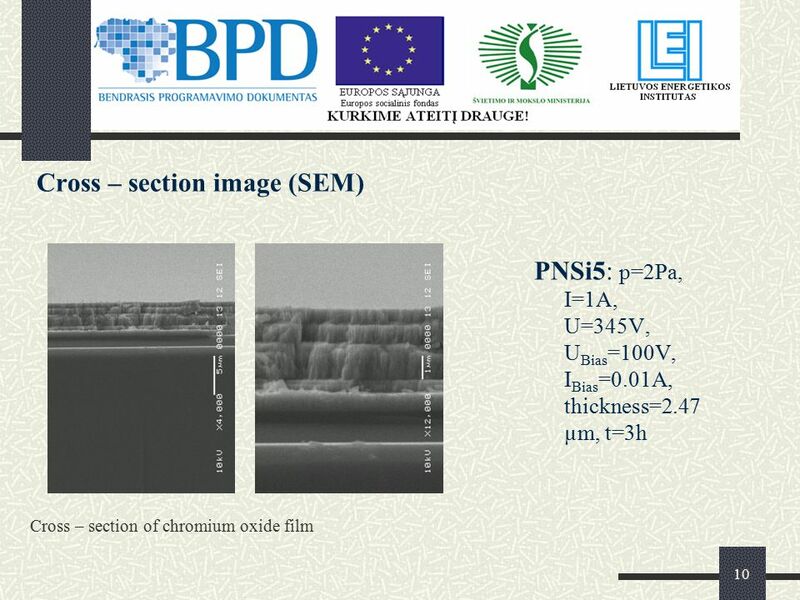 Thin chromium oxide films were deposited on plains silicon substrates and porous substrates. 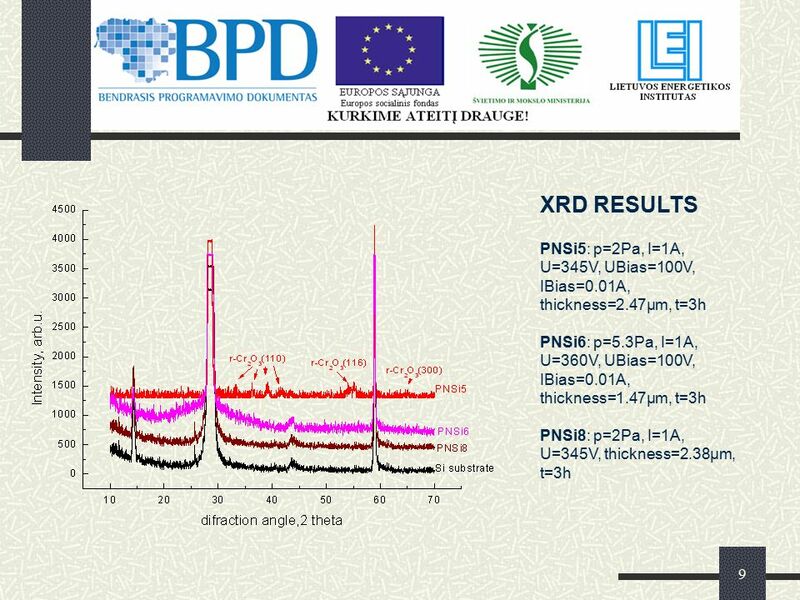 On silicon substrates we detected amorphous phase practically in all films; XRD analysis shows that when chromium oxide film is deposited on porous substrate, dominates rombohedric phase of Cr2O3. 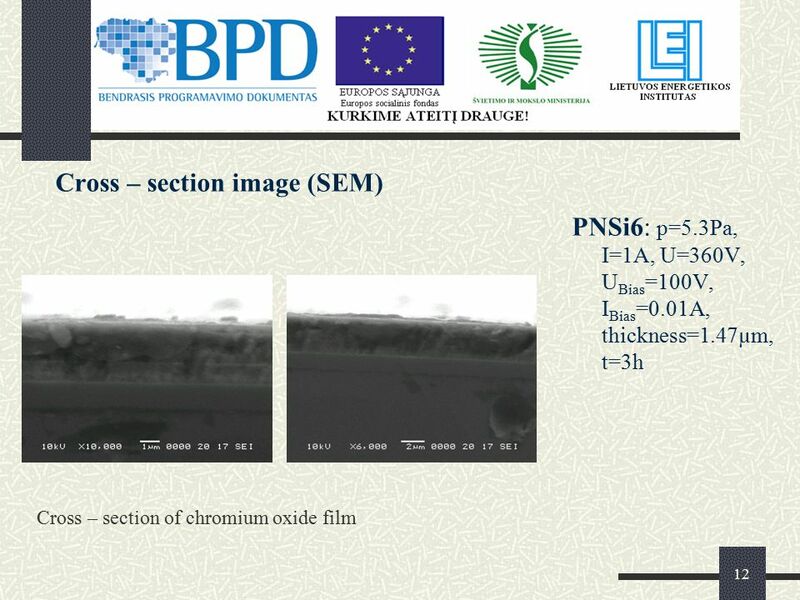 SEM analysis shows that chromium oxide films are porous and characterize island grow. 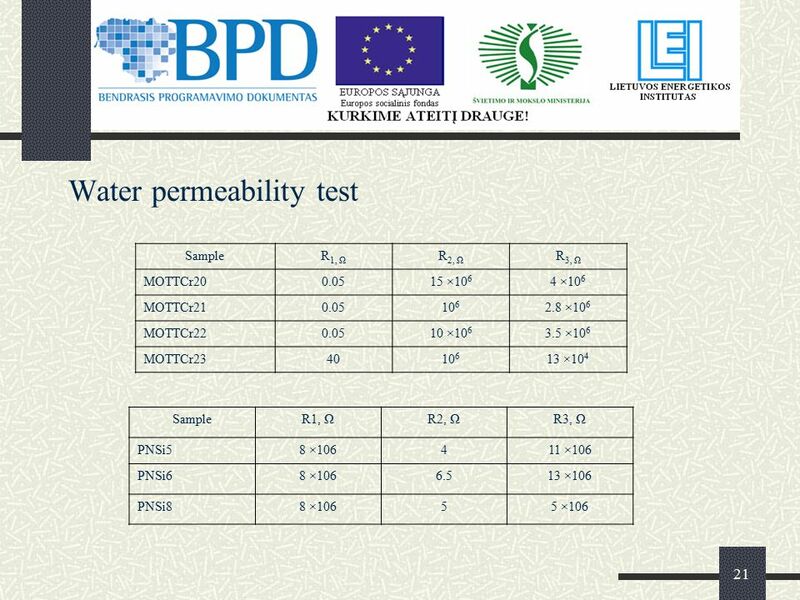 It was done water permeability test. Results are negative, water leak through chromium oxide membranes. 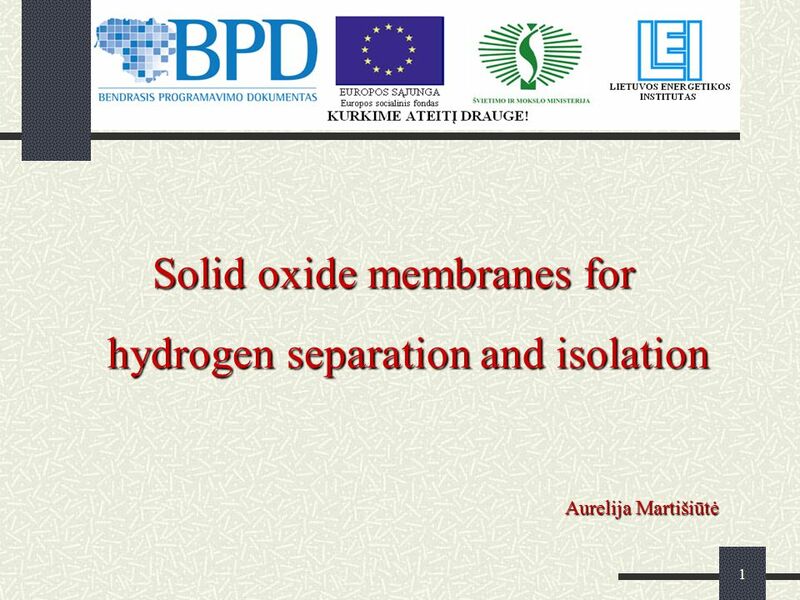 Download ppt "1 Solid oxide membranes for hydrogen separation and isolation Aurelija Martišiūtė." Ch 23 Section 1 Notes. Science PowerPoint: William Freddy Curle. 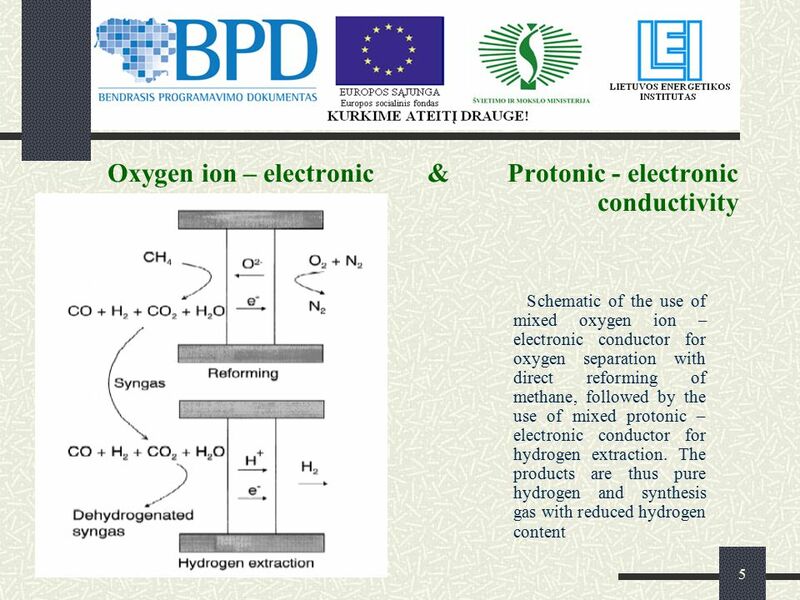 Definitions Electrode n. 1. A solid electric conductor through which an electric current enters or leaves an. 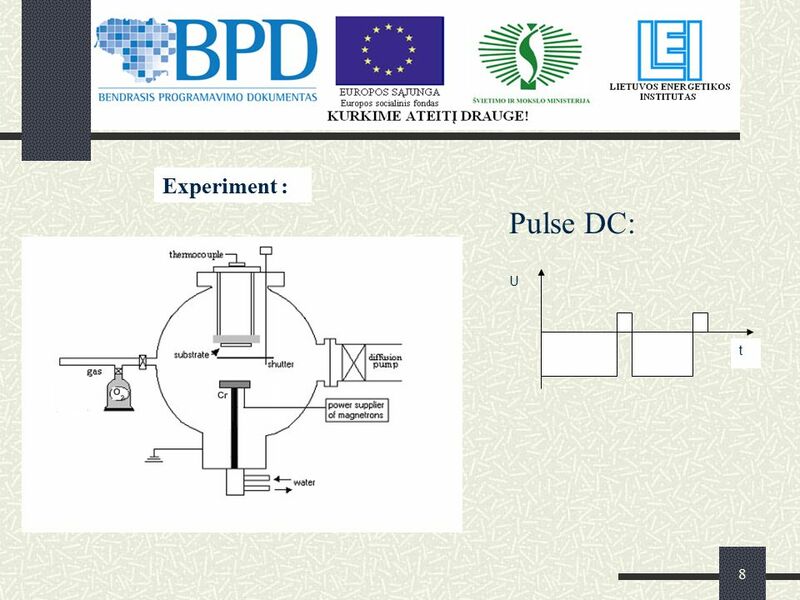 Numerical Simulation of Multi-scale Transport Processes and Reactions in PEM Fuel Cells Using Two-Phase Models Munir Ahmed Khan Division of Heat Transfer. Unit 2 The Chemical Basis of Life. Key Words and Concepts Element Element Atom Atom Compounds Compounds Molecule Molecule Ions Ions Acid and base Acid. 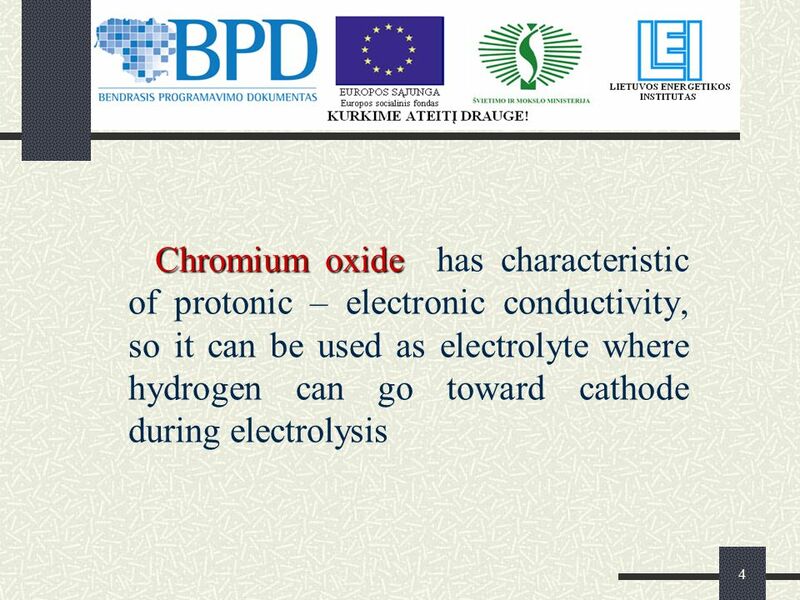 Electrolytic Cells Is a Galvanic Cell forced to operate in reverse Process is called electrolysis This occurs if a voltage greater than that produced by. 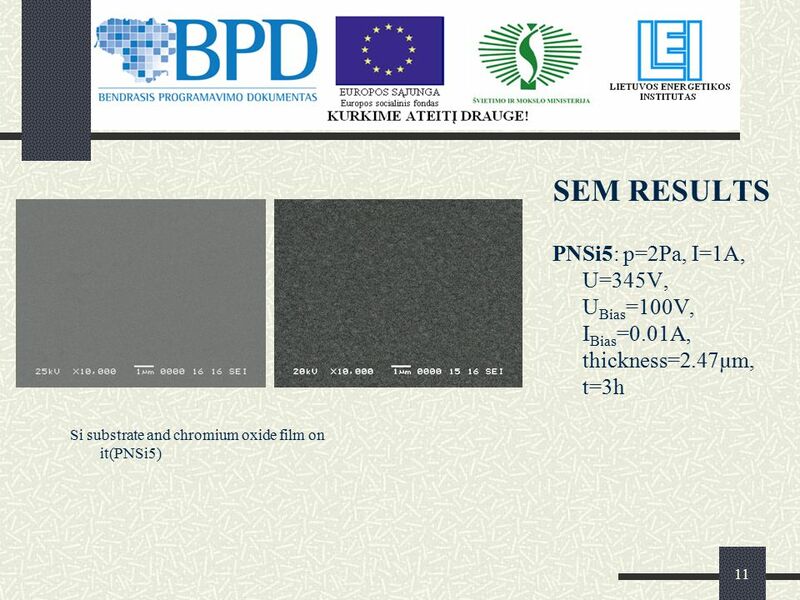 1 Negative Ions - Bromine Negative ions are attracted to the positive electrode. 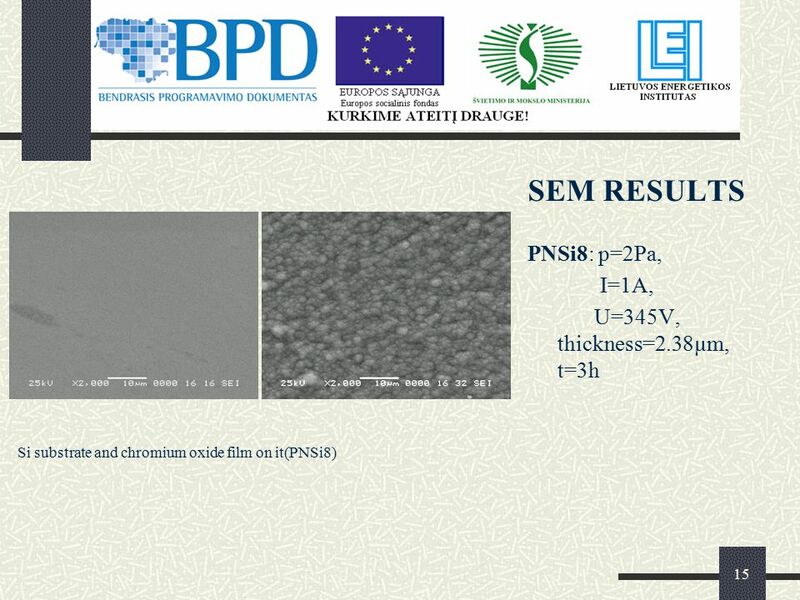 The positive electrode is called the anode. Negative ions are called anions. Comparative Study of Diamond- like Carbon Films Deposited from Different Hydrocarbon Sources Se Jun Park, Kwang-Ryeol Lee Future Technology Research Division. Nanotechnology in Hydrogen Fuel Cells By Morten Bakker "Energy & Nano" - Top Master in Nanoscience Symposium 17 June 2009. Fuel Cells. 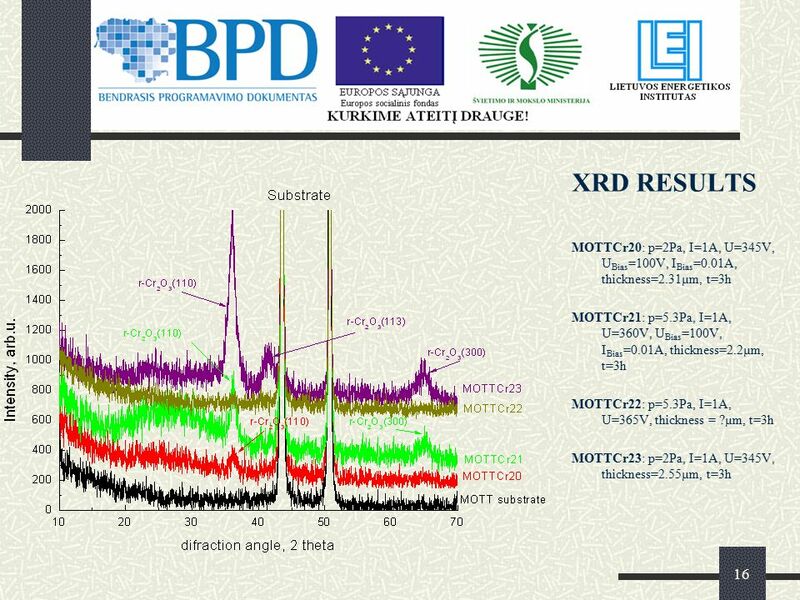 The Promise of Fuel Cells “A score of nonutility companies are well advanced toward developing a powerful chemical fuel cell, which could. 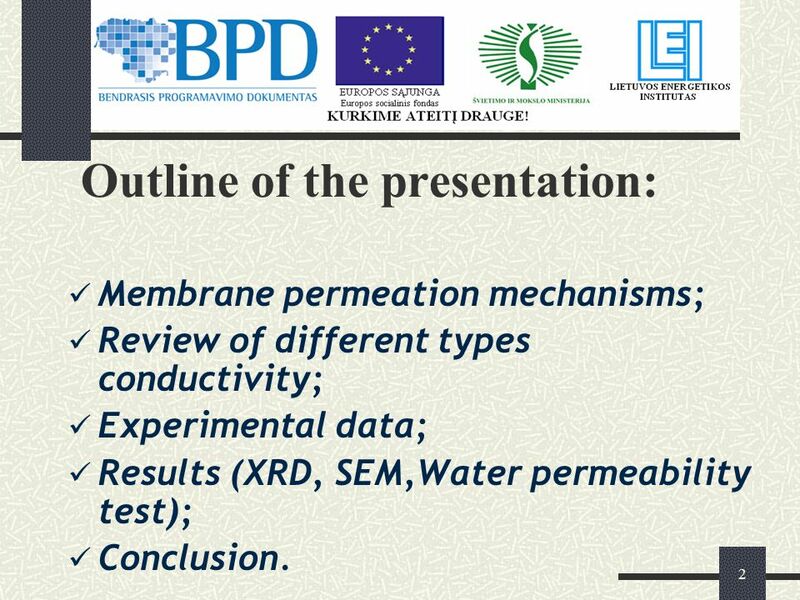 Membrane Processes •A membrane is a selective barrier that permits the separation of certain species in a fluid by combination of sieving and diffusion. Get a Charge Out of Matter Jeopardy MatterVocabularyBonds Miss Alanious 100 200 300 400 500 600.